Visitors experienced the Marrakech vibes of 1001 Arabian Nights during the Djemaa El Fna festival in the late summer weekend of 22nd of September. Rotterdam’s Museumpark was transformed into an open air culinary oasis full of food, music, theater and various cultural program. 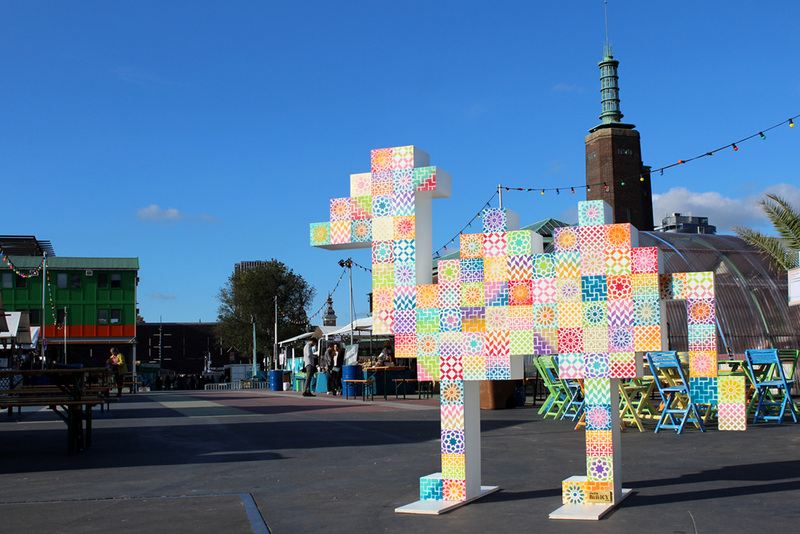 In the previous years, real camels were welcoming the visitors of the festival, but for this year the organization wanted something different and original and we were asked to challenge their request. 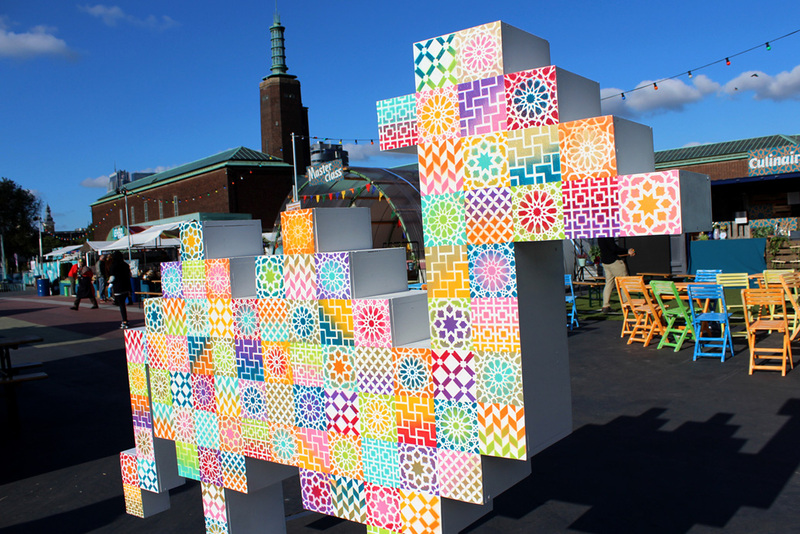 For the vivid food festival we came up with the idea of a ‘Pixel Camel’ of 2,5 meter in length. 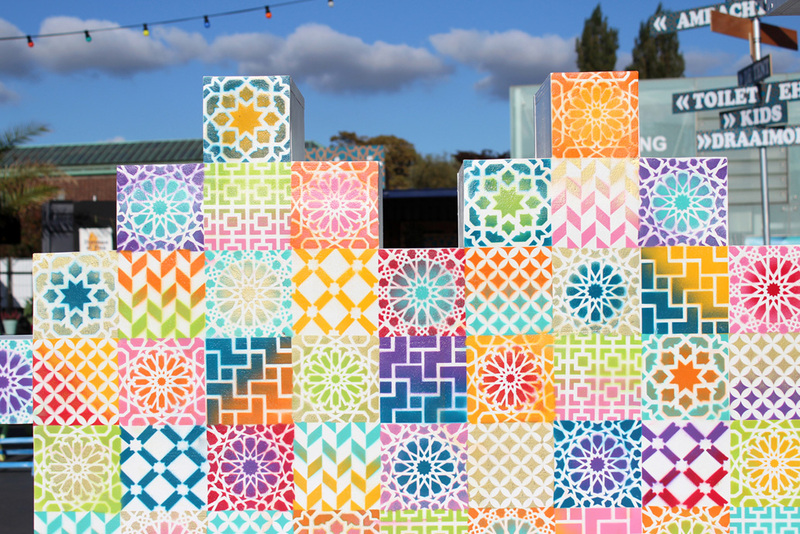 Our idea is inspired by the colorful Arabic mosaic tiles and the arabesque geometric patterns. Instead of making a realistic camel, we wanted to create a contemporary, modern look for our Pixel Camel, but in a recognizable Arabic style. 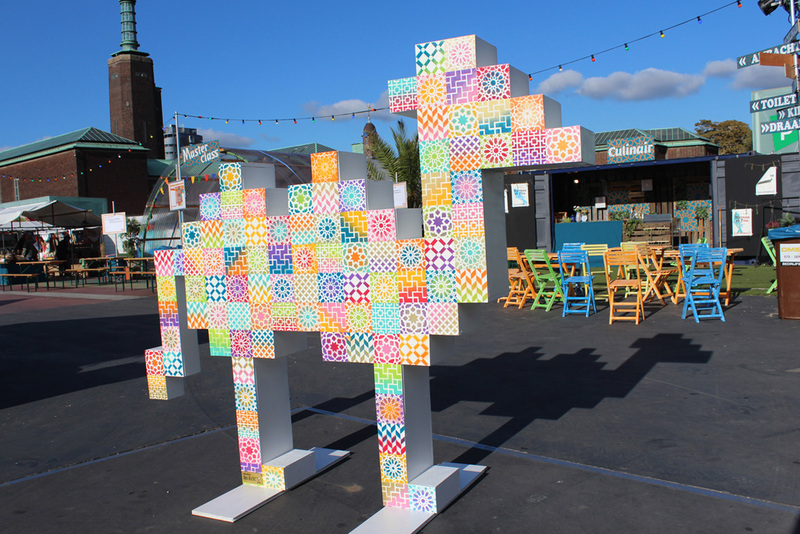 Also we loved to use bright colors in combination with the traditional patterns to give the camel a warm and welcoming cheerful appearance for the hungry festival visitors.